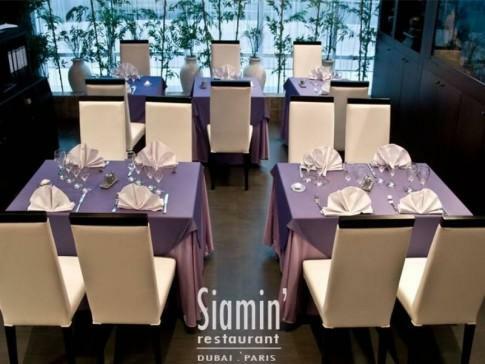 Contemporary decor, relaxed and cozy environment of Siamin Restaurant at Radisson Blu Residence Hotel in Dubai Marina, makes it one of the most sought after venue when it comes to restaurants that serve authentic Thai food. Moreover, friendly staff of Siamin welcomes each guest in a very pleasant way, which makes the visitors feel that they really value their clients. The menu on the other hand gives guests sight of the exquisite dishes of Thailand which have luscious taste and great quality. All these things together make Siamin Restaurant an incredible spot to savour Thai delicacies, which are as good as one can get in Bangkok. Siamin offers all you can eat deal in which visitors can enjoy authentic Thai delicacies. These Thai dishes are from various corners of Thailand and are prepared by expert and trained chefs. For Thai foodies, this venue will be a great site to relish delicacies of Thailand, whereas for the newcomers it will be a good experience of getting familiar with a world of flavors. Those who are staying at Radisson Blu Residence Hotel have great edge over others, as they can enjoy Thai, Arabic and various international cuisines from the menu of Siamin at any hour of the day. This bistro serves super breakfast buffet from 07:00 to 10:00, a la carte menu dinner from noon to 15:00 and dinner from 18:00 to 23:15 which also comprises of a la carte menu. Radisson Blu Hotel, Dubai Marina - Dubai - United Arab Emirates. Best way to reach Siamin Restaurant is by bus or car, as the nearest metro station is more than 2.5 kilometres journey from this eating place. 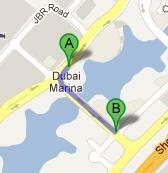 Head southwest on Jumeirah Beach Road, then make a slight left turn and the destination will be on your left side. See the map for directions.